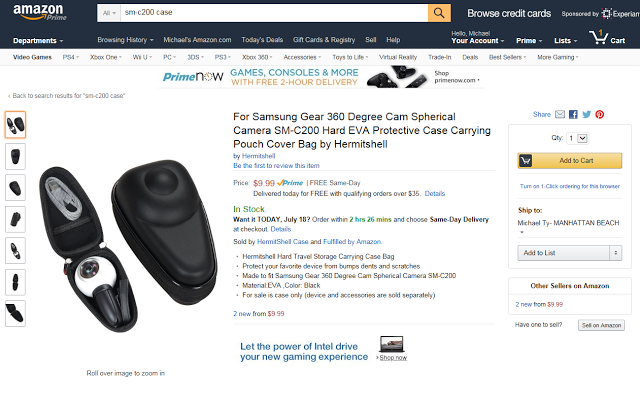 The Samsung Gear 360 (reviewed here) is not yet available to the general public in the US, but there’s already a custom camera case that is molded around the Gear 360’s unique shape (including its tripod). The case also has a pouch for cables. If you would like to buy this case, please consider using the link below, which would be a welcome way of supporting 360rumors. Thank you very much!